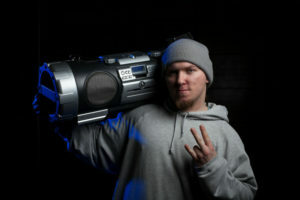 In the 1970’s and 1980’s, a boombox could be seen on the arms of music loving young people in cities all over the world. 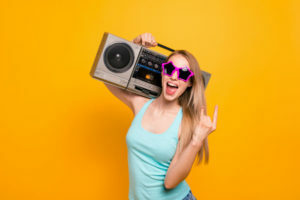 The boombox was very popular and rose to become a music icon for that time period, becoming a source of conflict between the young and the old and even between the upper and lower classes. A boombox is a portable stereo system that is capable of playing radio stations or recorded music at relatively high volumes and without connections to direct power, instead using batteries. The boombox was invented in the Netherlands but was quickly adopted and improved upon by the Japanese. During the mid-1970’s the idea of a portable stereo system became popular. Some of the first sets of this historic music player were designed by Panasonic, Sanyo and Marantz: these companies were the leading electronics manufacturers in the 1970’s. These systems came to the limelight in the mid-1970’s. During this time the concept of a “personal” stereo experience was not yet common. The first boombox models were kinds of a hybrid between home stereo systems and portable cassette players. Early models of the boombox were large, heavy and very loud. Offering users good sound quality and good AM/FM tuning. When input and output jacks began to be incorporated into the systems the boombox market exploded exponentially. With the input and output jacks, other devices could be used with the boombox such as turntables, amplifiers, mixers and microphones. Some of these new versions came with turntables in the unit. In the 1980’s the popularity of the boomboxes soared continuously. Boomboxes were often spotted on the shoulders of young teenagers or positioned on a street corner for an impromptu rap session. As time went on boomboxes grew in size and functionality. They became something of a status symbol. The bigger the boombox, and the more lights and buttons, the better off you were. The concept and thought behind the boombox was that everybody would have the chance of owning a portable stereo system. While the idea first came to light in the 1970’s, it became very popular in the 1980’s and early 1990’s. 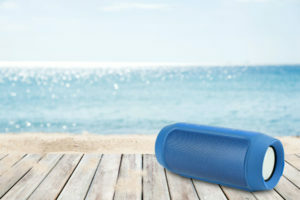 As this time a boombox could easily be spotted at every home, parties and even work with people hanging around either to listen to their favorite news broadcast or to sing to their favorite music group. 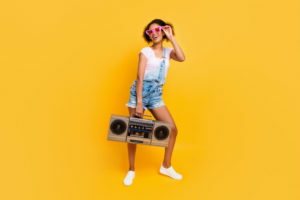 When breakdancing and the hip-hop culture became popular, the popularity of boomboxes grew as well and almost everyone had a boombox at that time. It even rose to a point where the boombox became a fashion statement. The sound quality and bass were not only considered; the looks, buttons, style and manufacturers now became part of its relevance as people gladly showed off their newly acquired high-end device. However, amidst all this craze and popularity the boombox began to fade away around the mid-1990’s. With technological innovations, boomboxes were replaced by the invention of smaller audio music players. 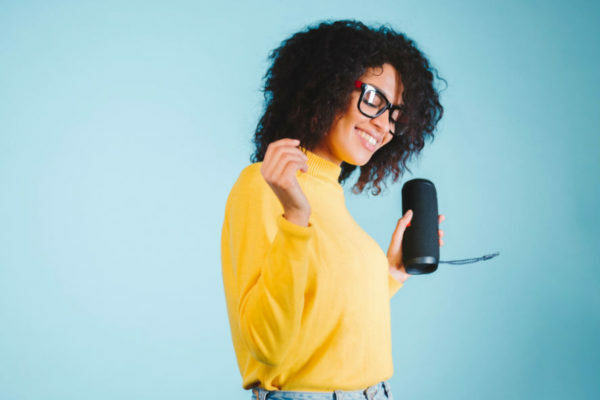 The arrival of the MP3 and Compact Disc (CD) players dealt a great blow to the popularity of the boombox as people started losing interested in the device. The advent of better and more advanced electronic devices, the boombox started to lose its relevance. 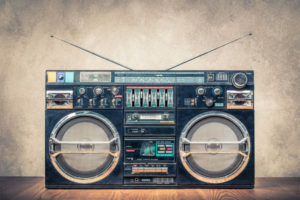 According to reports by many electronics statistical reports, the number of boombox units that were shipped into the United States drastically reduced between 1986 and 2003, with the number of sales going down and stocks lying fallow in stores. However the boombox still maintains its cultural significance and are still owned by most hip-hop artists and lovers. The boombox started out in the 1970’s as an extension for radio cassette players and became popular with the addition of a cassette recorder. Intense competition led to the addition of more great features like the AM/FM radio tuner and manufacturers struggled to outsmart each other and remain at the top of the market. So the basic features of the first sets of boomboxes were a couple of speakers and an amplifier with a radio tuner. 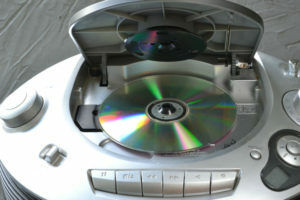 As time went by, cassette players were included and subsequently complemented by compact disc components. As CDs become more popular than the cassettes, boombox manufacturers adapted to the trend and replaced the cassette decks with CD players. The early boomboxes were made of metal casings and were usually black in color, but the metal was later replaced by a lighter plastic material. The boomboxes had larger models that used size D batteries in the 1980’s and 90’s. These models were usually very big with plenty of extra features and needed about 10 size D batteries, making them weight 12 to 15 kilograms. The boomboxes also came with other features normally found in hi-fi stereo systems, like equalizers and tone and balance adjusters. With time they included double cassette decks, Dolby bass controls and noise reductions. Many other high-end brands came with LED sound level meters, shortwave band reception and better song search capabilities. This trend in the features indicates that manufacturers kept adding new features and development as market completion intensified. Some of these features were the microphone and phone components, removable speakers and various control switches. Some brands even came with vinyl record players! 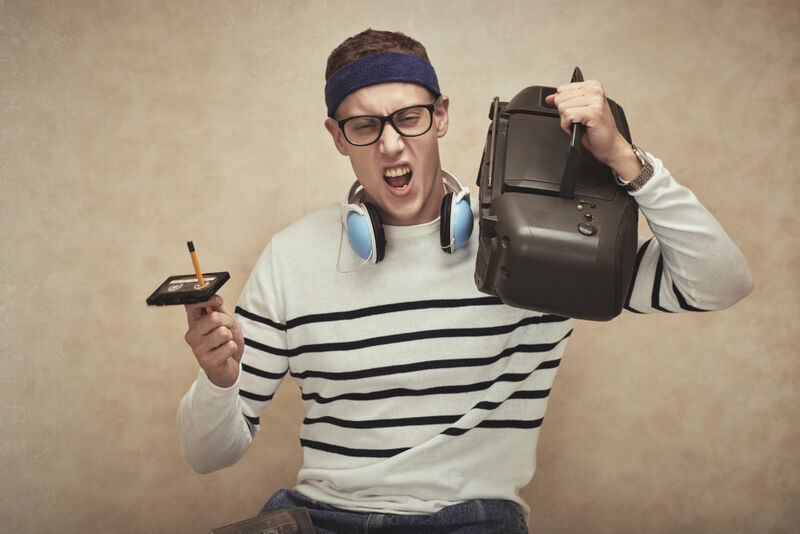 With the invention of better musical options, boomboxes dropped in demand and were replaced by better MP3 players. However they are now making a comeback into the electronics market with better features than before. The models today are mostly made of plastic with curves and other stylish designs. The cassettes have been replaced with CD players and some boomboxes also play CD-R or CD-R/W discs. 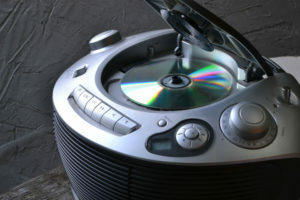 They can now be used to burn MP3 files making them have the ability to play hundreds of songs from just one CD. Boomboxes are now designed to have docks for smartphones and iPods and are also compatible with satellite radios. From the information above we can see that the boombox is not just an ordinary music player. Its cultural significance and value is the drive behind the production and addition of more features by various electronic companies. Although it is now gradually being replaced by more modern media players, memories of this musical wonder will still stay fresh in many minds for years to come. When Was The Boombox Invented? Hey there, my name is Scott and I am the creator of this site. Being a kid from the 80s, I have a soft spot for boomboxes and want to let everyone know how cool they still are today. Hey Scott, i am trying to find a new replacement for one of my favorite stereo’s. I can’t find what i’m looking for and i feel like i have been failing at the search , like, for-ever, man. Hey Chris, ah the CFD-560… A cool compact system from the early 90’s. It’s hard sometimes to find these vintage audio systems, but I would suggest keeping an eye on eBay or craigslist. They do happen to come on from time to time. Goodluck! How to Improve a Boombox FM Antenna? 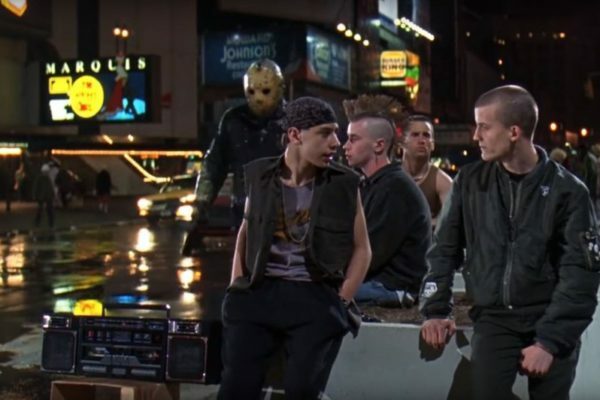 Boombox in Movies – When Ghettoblasters Stole The Scene! Some recommended products may use affiliate links. StereoBoombox.com is a participant in the Amazon Services LLC Associates Program, an affiliate advertising program designed to provide a means for sites to earn advertising fees by advertising and linking to Amazon.com. Amazon and the Amazon logo are trademarks of Amazon.com, Inc or its affiliates. Copyright 2019 by Stereo Boombox.